If you live in the Tequesta Florida area, you’ve probably heard of us. We have been serving customers in the Tequesta area for over 20 year for their insurance needs. We are the partners you can trust for great insurance coverage and affordable prices. While providing great insurance policies is the main focus of our business, it is our level of customer service that keeps clients returning year after year. Our goal always is to establish long-term relationships, so we work hard on client relations and communication. Courtesy, respect, professionalism, and kindness are hallmarks of how we operate. When it comes to understanding the insurance markets, and how to get quality coverage for a great price, there is no substitute for experience. 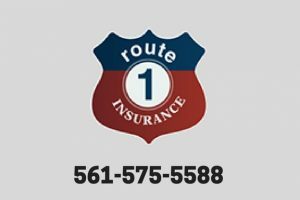 With over 20 years of experience serving customers in the Tequesta and Jupiter areas, we have the knowledge and experience to find insurance policies that match your unique circumstances, and meet your needs, at a price you can afford. Our experience sets us apart and helps us serve your better. When it comes to pricing, we are able to find great prices from highly-rated insurance carriers. This keeps you from paying too much for the insurance you need. Since we are an independent insurance agency, we are able to compare offers from many different carriers who want to compete for your business. This brings more value and quality to you. We offer personal and commercial insurance coverage, including: home, automobile, truck, condo, flood, wind, property liability, umbrella policies, and more. As we work with you to find the coverage that you need, we are available to discuss any questions or concerns you might have.